Looking it up on Google will most likely lead you to use Google docs viewer or inline HTML file embedding eg. <iframe /> with no specific information about the problems that both of these solutions have. What do I mean by file preview? I mean viewing a file on a website, the same way as on a desktop, within a dedicated app. If you want to preview your file, all you need is direct the URL to the file, but how can you know that you have a direct URL? For most cases, pasting it in your browser will automatically force a download process (except pdf’s, most likely they’ll open up in your browser window). Let’s see how this can be implemented. Inline embedders are: <iframe />, <embed /> and <object />, their way of working is pretty much the same, they’ve got slight differences which are not significant for us at this moment. No file size limitations, even large files like 300MB pdf will show up, of course, it will take ages to load but still. It’s a browser-native feature so it’s the fastest solution from all the methods mentioned in this article. In this section, I’ll give some information about free online docs viewers, unfortunately, there are only two and none of them is perfect, but they greatly expand the possibilities. So here we have our money savers: Google Docs and Office Web Apps. Just append your src attribute with an appropriate URL to a specific doc viewer, your chosen doc viewer will download your file from URL and then generate an HTML page from it, and then you direct your iframe to it and voila! Of course… there are some limitations to this but not as bad as you might think. This is not an official solution, I mean Google nowhere gives you documentation on how to properly use this, but developers somehow found it out anyway, despite that Google Docs Viewer isn’t supported anymore it still works! 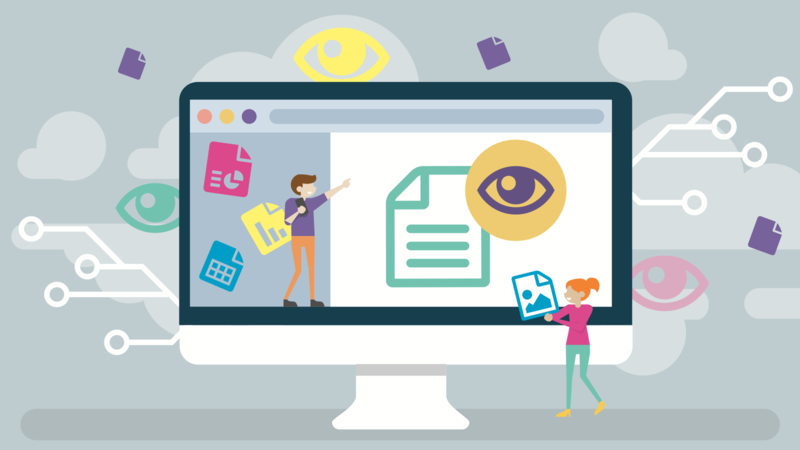 Many supported file types, probably you’ll find every file type you would like to preview: images, videos, text, code, Microsoft Office file types, pdfs, Adobe file types, svgs, font file types, archive file types and more. Along with the lack of support from Google it likes to throw random errors which will result in no preview at all, what’s more… there’s no way of checking if it failed or not, your inline embedder won’t give you any information about it (no browser event or anything). Okay... I found a way to check it, I’m not very proud of it but at least it works, I’ll share the idea in the Summary section. As you might know… Microsoft file types like .ppt, .doc, .xls, etc. are not Google file types so… It has some problems with displaying it, but don’t worry It’s not like they’ll not show up at all, just for example in .doc’s files, some images might jump into next line/page instead of showing in a row... You know... just Microsoft Word things. Microsoft also gives its solution to preview files on your website, surely it’s the best option for Office types files because it’s the best at parsing them into HTML. Now we got all the information, now we need to make the final decision, let’s get into it. PDF - use default browser support, it’s definitely best option here, no doubt about it. Files other than PDF - Google Docs, the only bad thing is those random errors, but I’m actually used to it, on many web apps file preview basically likes to fail. Check how I’ve solved this problem. Optionally if you would like to distinguish file types, even more, you should use Office Apps for Office file types, but in my opinion, Google Docs is good enough. For every file type, our only option is to use Google Docs Viewer, none of the other solutions works on mobile, I’ve got nothing more to say here. Let’s deal with Google Docs random errors Firstly, I wanted to say that I know it’s not a very elegant solution but I believe it’s the only way to do it. Keep in mind, I haven’t used any of them, so I can’t recommend any in particular. Krzysztof made his goal to write flawless code to deliver functional solutions to our clients according to their requirements.